A Million Times at Changi by Humans since 1982. 2014-2018. 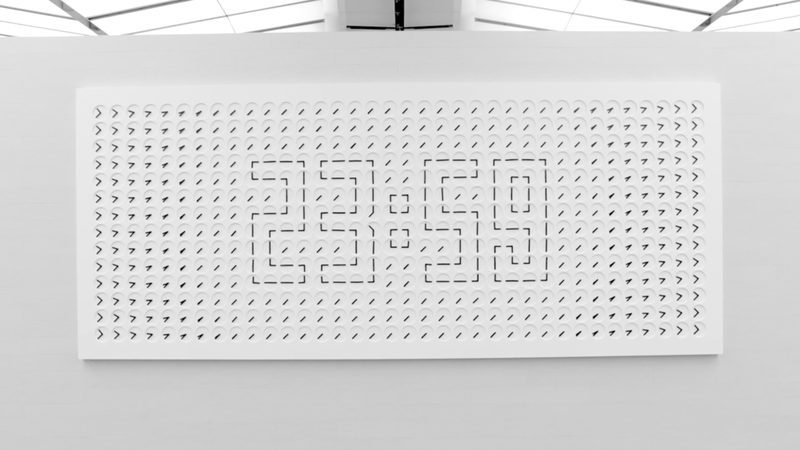 A Million Times at Changi is both a kinetic sculpture and functioning clock created by Stockholm-based artist collective Humans since 1982. A Million Times at Changi, commissioned by Changi Airport Group, was conceived by Humans since 1982 in 2014 and installed in January 2018 in Changi Airport Terminal 2, Singapore. With four years of development time, this is the largest and most ambitious work within Humans since 1982's A million Times project (2013-ongoing). 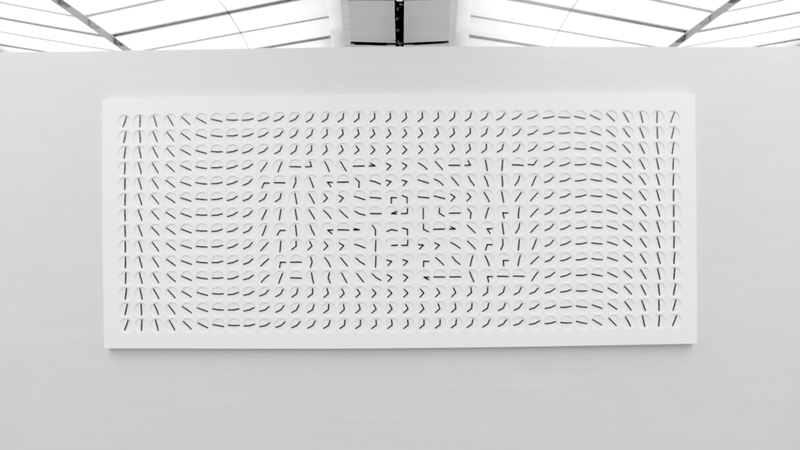 A million Times at Changi comprises 504 clock-faces in which the hour and minute hands have been programmed to spin individually and in formation to visually represent the abstract concept of passing time while continuing to report real time. 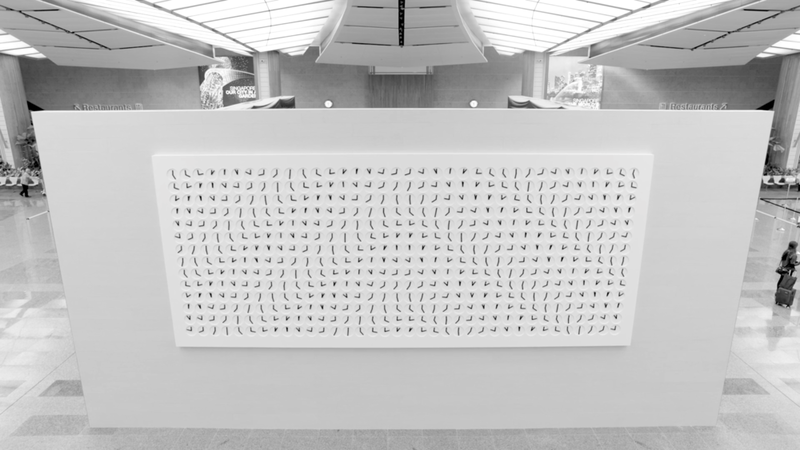 Each choreographed sweep of hands appears to be unlike the last until they join in perfect, synchronised alignment to accurately tell time through digital typography. A Million Times at Changi is one of the biggest kinetic artworks in the world. With its 7,5 m amplitude it has a 'clock face' that is wider than that of London’s Big Ben (7m).